Say hello to our grumpy lead character – Masahiro! 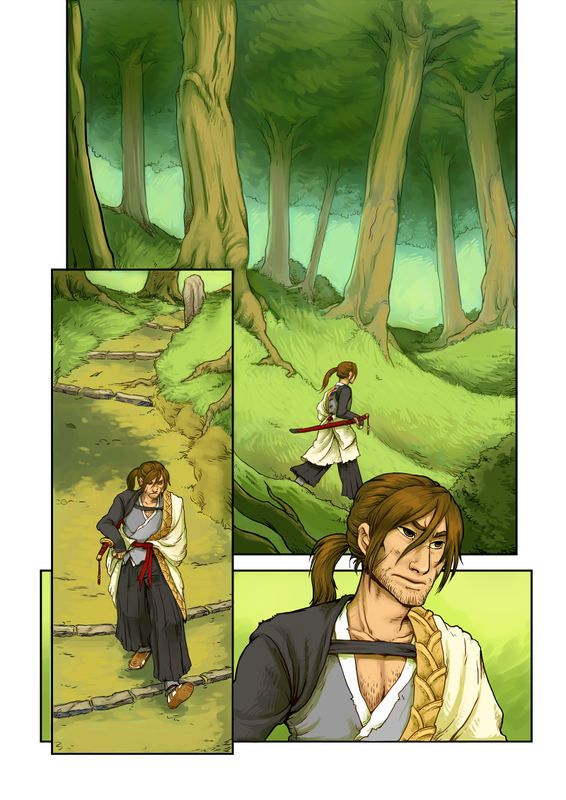 Also, enjoy the scenery for a while – the first couple of pages are going to be kind of quiet. Not only is Masahiro kind of a taciturn guy, I’m also doing a bit of decompressed storytelling, using several pages to let the setting and scene breathe a bit.